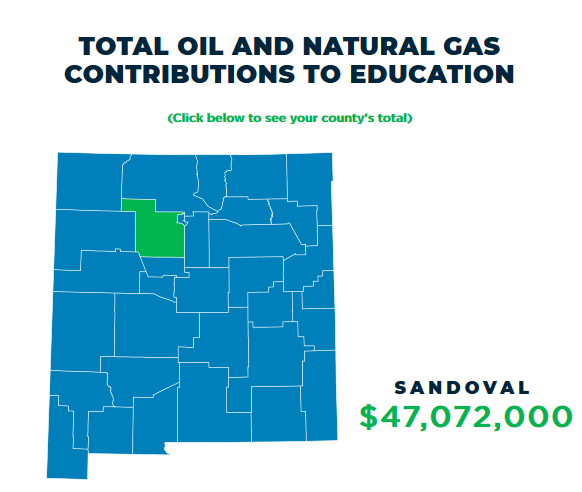 The Sandoval County Commission in a rare bit of bipartisanship in politics these days refused to act on a controversial oil & gas ordinance. They didn’t actually vote down the ordinance but rather no “second” was given and the ordinance simply died (unless it is brought up again). The ordinance, if enacted, would have represented a “grab bag” of the radical environmental movement’s preferred policies with regard to oil and gas. These included an outright ban on the process known as hydraulic fracturing or “fracking” as well as horizontal drilling. The ordinance would also have created an array of setback rules for oil & gas drilling in the County making oil & gas development nearly impossible. Particularly since horizontal drilling is the best way for the industry to access oil and gas that cannot be reached by drilling straight down, these aggressive setback regulations would have finished off most oil and gas drilling that the ban on fracking itself failed to stop. As the meeting concluded (as if anyone was confused about the intent of the proposed ordinance itself) the so-called environmentalists in attendance chanted, “You can’t drink oil; keep it in the soil.” Then, dozens of them cleared the meeting space and got in their cars to drive home. No hypocrisy there. This ordinance was clearly overreach by the environmental left. Another aggressive anti-oil and gas measure (Proposition 112) was rejected overwhelmingly (55-45) by Colorado voters this November despite strong support from environmental groups and “green” funders. Oil and gas has been safely extracted for many years in Sandoval County. If it is found elsewhere in the County, the same state regulations now in place will regulate the industry. The State is the appropriate regulator with decades of experience and the legal authority to do so. Counties simply don’t have the authority or the expertise. The Sandoval County Commission got this one right. I want to thank you for supplying the email addresses for the Sandoval County Commission. I emailed Commissioners Block & Heil before the meeting asking them to vote against the proposed Ordinance that would in effect end oil & gas drilling in Sandoval county. To my pleasure both returned my email thanking me for the encouragement of their support for oil & gas and stated their position of a non vote which defeated the anti oil & gas Ordinance. Glad to hear Jack! Thanks for your activism.